On May 1st, some of Canada’s most talented scientists and engineers were honored by Government of Canada dignitaries for their excellence. 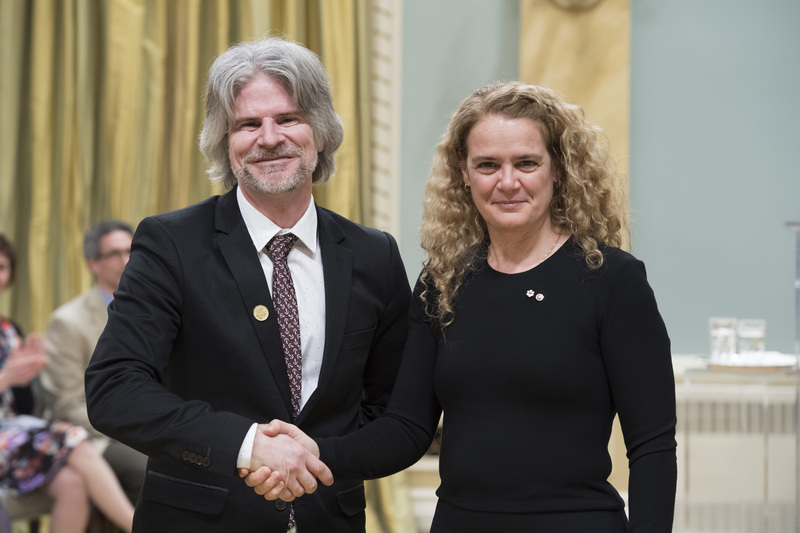 As part of the NSERC Recognition Program, the Synergy Award for Innovation 2018 was awarded to InnuScience Canada and Collège de Shawinigan for a research project they conducted through a research and development partnership that will contribute to bringing significant technological advancements in the field of bio-cleaners. Ali Kademi, Ph.D., of InnuScience and Louis Tessier, Professor at Collège de Shawinigan, proudly received this mention and recognition of excellence. The Synergy Award for Innovation highlights examples of collaboration that provide a model of effective partnership between industry and academia. 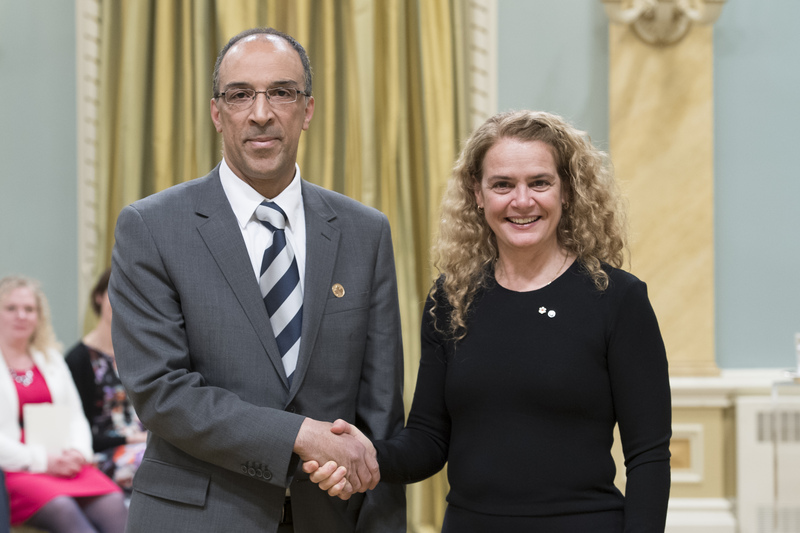 The awards ceremony was chaired by Her Excellency the Right Honorable Julie Payette, Governor General and Commander-in-Chief of Canada. 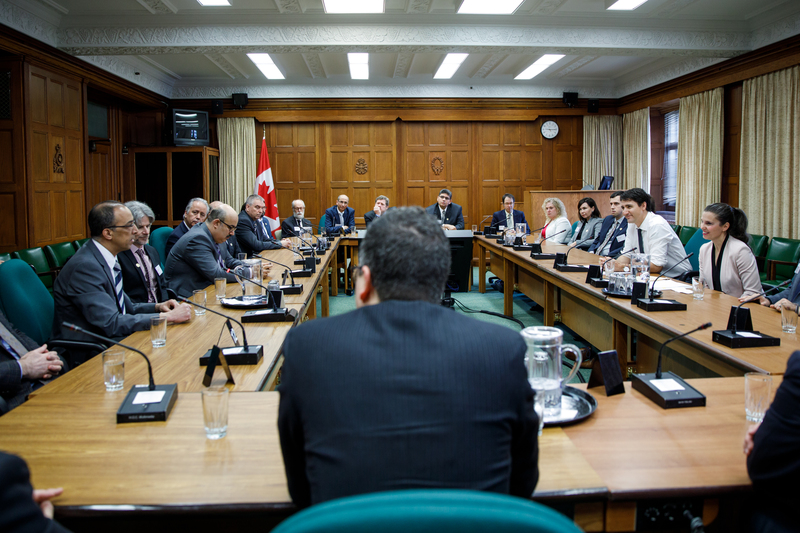 For the occasion, the recipients also had the privilege of exchanging with the Right Honorable Justin Trudeau, Prime Minister of Canada. InnuScience et Comac lance la première machine à laver les sols qui recycle son eau de lavage pour la réutiliser. La biotechnologie d’InnuScience Canada s’unie à l’ingénierie de Comac Italie. Vous ne verrez plus jamais ces machines de la même façon! Discover InnuScience biotechnology product’s mode of action. InnuScience : Biotechnology products that are super-efficient, safer and less expensive than traditional chemicals. This video from our scandinavian subsidiary shows the cleaning action mode of traditional chemistry versus InnuScience biotechnology. Since 2009, InnuScience Canada is working with Longueuil Network Transport (RTL: Réseau de Transport de Longueuil ) as an integrator partner, creating and integrating environmentally friendly cleaning solutions. Watch the video, produced in 2011 by the RTL, which shows a good example of partnership InnuScience carries with its clients. Want to know more about the Réseau de Transport de Longueuil? The STM launches greener washing! InnuScience’s longest running employee celebrates 20 years of innovation!